In early 1998 RCA released The Best of Peter Posa: the Album. 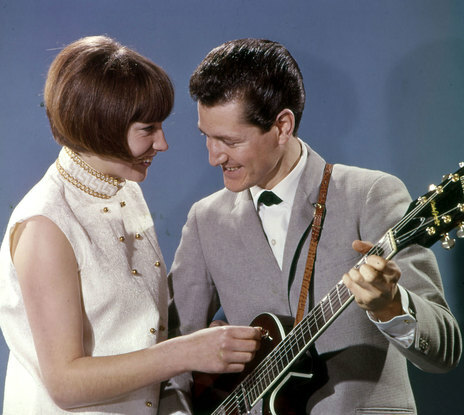 It was the first time that New Zealand’s guitar hero of the 1960s had been released on CD. Having been out of the limelight for a long time, Peter was very proud of the release, which when I interviewed him on 1 May 1998 for Real Groove magazine, had been in the charts for six weeks. “It’s done well,” he said, with the characteristic modesty that remained through our conversation. We began by talking about how often ‘The White Rabbit’ was played at intermission in cinemas during the 1960s. Peter Posa: They used to do that a lot, for extra exposure. Radio was extremely supportive, especially in the early 60s – even when the Beatles came out in 64. ‘White Rabbit’ was released in 1963, they used to give it phenomenal airplay. There were a lot of instrumentals recorded in that time: I believe there was a quota on public radio for a percentage of instrumentals on the playlists. You grew up in Henderson – what was the musical environment like there at the time? My mum was musical. She’d sing back in Yugoslavia. My parents were very supportive, very encouraging. I got my first guitar when I was nine. She bought it for me, a £5 Galatos, a South African guitar. She bought me a better one when I was 11. I was so interested in the guitar. I just listened to people like Hank Williams in those days, Cole Wilson and the Tumbleweeds, Tex Morton – I’d copy all their riffs. I listened to a lot of country music in those days, when I was a little kid. In Henderson, were you surrounded by Yugoslav wine growers getting together with their families, making music? Yes we did, we had a vineyard. We had a lot of functions there, and we always had backing musicians, and I’d perform at quite a few functions. Sundays were very big days. A lot of people came out on Sundays, that’s when we held all our functions. [The wine growers] used to have a place called the Auckland Wine Shop, on lower Queen St. We sold to a lot of shops, and we had our own regular customers. It was a very big local industry, wine growing. What are your memories of the Auckland club scene? I didn’t do that many. I did a few – the Monaco, the Top 20 – but it was mainly tours that we got into. Earlier I used to have a combo, a five-piece, and we did functions in west Auckland, when we were about 16, 17. I started professionally when I made my first record, ‘Wheels’. It was very primitive, done on a two-track recorder – there was nothing like 24-track in those days. I used to do multi-tracked instrumentals, and used to have to overdub all the parts myself, including bass. We did about five or six dubs on a two-track recorder, it was very hard on the sound, but we got a good feel in it. How did you keep the recording quality up? We had to go through the mixer and keep re-equalising it. 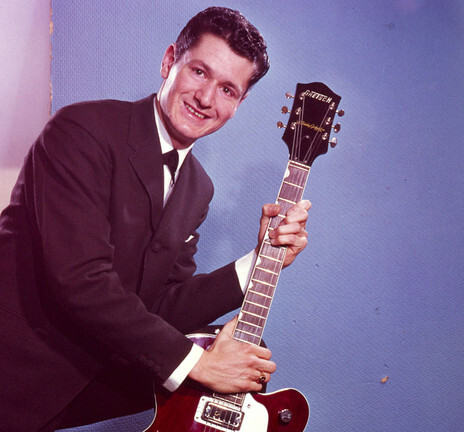 Was Les Paul a big influence on your guitar playing and approach to recording? A big influence – so was Chet Atkins. They were very big in the 50s. I used to listen to them, and see how they structured their riffs, their chord patterns and that sort of thing. They both influenced me quite heavily – I think they did with a lot of guitarists. Especially Les Paul. He was phenomenally big, and invented the eight-track recorder. It was a Maton, from Australia. They were everywhere in New Zealand. I bought mine in Sydney Eady’s for 49 shillings and sixpence. I had separate pickups put on, I don’t know if they had a name. I had that guitar till I was about 18. They were good guitars, and they still make good guitars. Very good in those days. Mine was an f-hole acoustic. Where was ‘The White Rabbit’ recorded? At Viking Records, on Newton Rd [central Auckland], they had their own studio. It was still only a two-track recorder though. Once it was down on tape, that was it. If you made a mistake you had to do another take. ‘White Rabbit’ was done in one take, that’s why it had such a good feel. No overdubbing. Johnny Bradfield was on [first rhythm] guitar, myself on second rhythm, Brian Spence on drums, Peter Skerritt on bass, and Claude Papesch on piano. Good old Claude. How did Viking handle the big success of ‘White Rabbit’? Who were some of the other backing musicians you worked with? I used to use Max Merritt quite a lot, and we had our own regular session musicians at Viking – Mike Perjanik and those guys. And you did a lot of package tours with other big New Zealand acts. I was the top of the bill for a lot of them. That was interesting because being an instrumentalist, being on top of the vocalists, was quite a novelty. I headlined a lot of tours. The crowds were massive, mate, massive. In the early 60s, there was no TV then, and everybody came to the shows. In fact we’d do two shows just about everywhere we went. What was the spirit among the musicians like? We were one big happy family, there was no bickering or jealousy. Everyone worked in together. I used to tour with most of artists – Dinah Lee, Lou and Simon, Bill and Boyd – I toured with just about all the big names. Were you involved in getting Dinah Lee established? I didn’t get Dinah Lee actually signed, but I picked her first record, ‘Don’t You Know Yockomo’. She still doesn’t know what Yockomo is, nobody does. I’m a big fan of that rhythm, it’s a very catchy beat. I heard her singing at the Monaco coffee lounge, she was singing it in her act. Ron Dalton actually had her first single down on tape. I went along and said I heard Dinah sing ‘Yokomo’, and I said you’ve got to record it, it’s a hit. They ended up recording that instead of the one they had down on tape. Your own recording output was vast in the 60s, all those albums, so many with an international or Pacific flavour … combined with tours through the islands. I made 20 albums, 14 singles and 30 EPs. I actually made more albums than anyone else in the 60s. Tourism was in its early stages in the Pacific. I toured round all the islands, I played mostly in theatres, doing all the small places. Supported by lots of radio play. Where was that photo of you with Frank Sinatra taken? That was in Las Vegas, at the Reprise record convention. Viking used to be the agents for Reprise. ‘White Rabbit’ went out on VeeJay, but it was only a small independent label, this is why it didn’t do any good in the States. If it had been released on RCA or Capitol or Columbia or something, I think it would have been a massive hit. It got a very good write-up in Billboard magazine. But they didn’t do any promotion on it, unfortunately. It was very competitive, with all those big companies. I’m amazed someone over there didn’t copy it. Your guitar sound is very clean, no feedback or distortion pedals, very much in that twang style. What did you think when guitarists like Hendrix appeared? Well I wasn’t into that stuff. I wasn’t into heavy metal at all actually. It might have been very clever and very fast and all that, with the distortion pedals and wah-wah pedals … it wasn’t my thing, I wasn’t interested in that style. I was a middle-of-the-road player, way down the middle. Les Paul is still playing two nights a week with a trio in a New York club – in his 80s. Chet Atkins is still playing in Nashville. I got to know Chet, he was a very shy person. Very quiet. We talked a lot about guitars and that. What are your memories of meeting Sinatra and Dean Martin? I didn’t have too great a conversation, because there was such a crowd there. But it was about Reprise Records, and me saying how much I appreciated them as musicians and entertainers. I didn’t have a great deal of time to speak with them, it was just a matter of getting to know them, that was it. 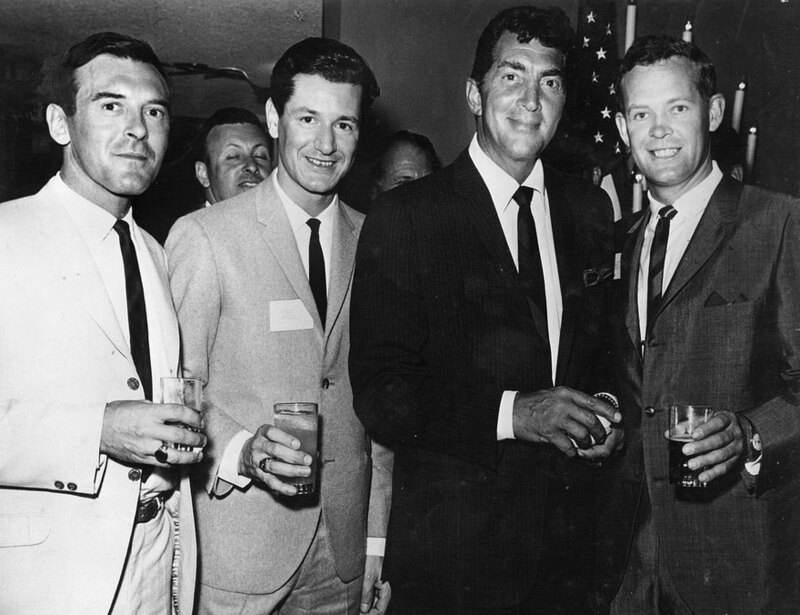 But I found them very approachable, especially Dean Martin. It was like being part of history, meeting both of them. They were always teamed up together, being on same record label. Your albums of the 60s covered many styles, including folk music from many cultures. Yeah, I did folk music, I also did Māori music, Fijian music, French music, Hawaiian. The concerts were very much family oriented, from young kids to grandmothers. Plus a lot of screaming kids as well, mmm. Did you write much of your own material? I wrote a few, and Bill Ivory and Graham Rosling wrote ‘White Rabbit’ and ‘Mad Hatter’. Margaret Raggett wrote ‘Grasshopper’ and ‘Hitch Hiker’. Bill and Graham were amateur musicians in Auckland, they came into Viking Studios, put ‘White Rabbit’ on tape with a piano and guitar, and I just used my imagination. I thought, this is very catchy, I could imagine the backing in my mind, and this is how it came together so simply. We did a couple of practises and laid it down in one take. It’s such a simple tune, but so catchy. There’s not a lot of money in composing. Composers are always complaining they don’t get paid enough, and it’s quite true. You get more for airplay than composing the tune. I had a conversation with Bill Ivory not long back, to let him know the CD was coming out. He’s still in Auck. Graham Rosling is in Australia I think. I didn’t like TV, no, mainly because they said ‘You’ve got to smile at the audience and do this … there were too many rules, and I didn’t like them. I did a few shows on TV but I wasn’t very exposed on TV. I thought I’m doing alright performing, I don’t really need TV. Because I didn’t like being told, look at this camera, smile … for some of my faster stuff, I had to look at the guitar, I didn’t have time to look at the camera. I discovered The Chicks. Ron Dalton my record manager at Viking and myself were at a party at Henderson. I was playing guitar, just acoustic, and Suzanne and Judy were a few doors away, heard me playing and recognised me. They came up to me and said, ‘Mr Posa, can you give us your autograph please.’ I just jokingly said, yes, if you sing me a tune. They sang ‘Tobacco Road’ for me. I played for them, and I nudged Ron Dalton and said, boy I think we should record these two chicks. That’s how it happened. We got them recorded and the rest was history. They were on TV a hell of a lot. Are you doing any recording now? I had a car accident back in the 70s, and it wrecked my neck. It’s deteriorated worse in the last decade. I have terrific pain with it. I’m in a hell of a lot of pain now, and it limits me from playing. I’ve got a couple of guitars I pick up at home occasionally, but I can’t play too long because it puts me in bed for couple of days. It puts pressure on my neck, the angle. It’s very frustrating, and I get quite depressed with it, because I can’t play professionally anymore. I did the odd tour – there was one with Demis Roussos in 83 – and I went down to the Gold Guitar awards in 1986, and I played at a place called the Troika, a restaurant in Auckland, for a few seasons, but then I slowed down because my neck was getting so bad I couldn’t do it anymore. I just live in Mt Roskill now with my wife, and we take it quite easily. How do you feel about the release of The Best of Peter Posa? I’m very pleased with it, it’s my first CD. The tapes were in terrible condition! We had to do a lot of work on them. They had to be patched up in Wellington for a start. When we went to the studio, we actually got the master tapes, that’s why the sound came out so good. It’s got a very clean sound. We did a bit of equalisation in the studio, then mastered them. I was very pleased with the overall result.